Changing the cell color based on a value is an effective way to visualize data. Excel has a built-in feature that lets you change the cell color based on value. It’s called Conditional Formatting. Conditional formatting in Excel enables you to highlight cells with a certain color, depending on the cell’s value. For this tutorial, we will use Naritos food truck annual sales record for the year 2017. Narritos sells Nachos, Burritos, and beverages all over the Bay Area. One of the best uses of Conditional Formatting is to quickly highlight top or bottom values in a range. If you do it manually, it would be tedious and take a long time. With conditional formatting, we can do this at once. 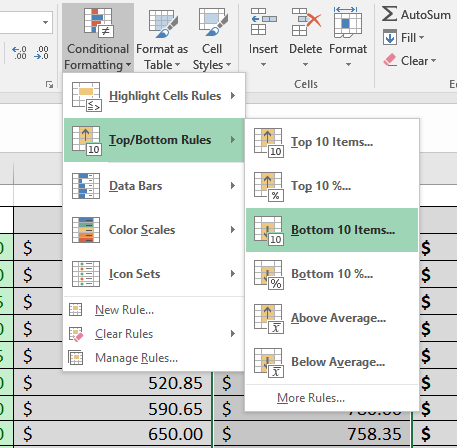 To change the color of top 10 values in a column, at first you need to select the entries in the column, click Home > Conditional Formatting > Top/Bottom Rules> Top 10 Items. You can change the color of the bottom values as well. This can be done following the same process as the top values. 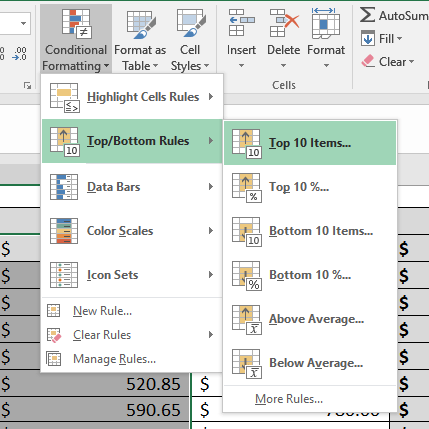 After selecting the cells you need to click Home > Conditional Formatting > Top/Bottom Rules> Bottom 10 Items. 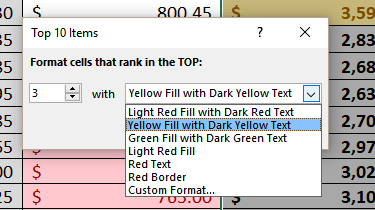 You can change the color of any number top/bottom values with Conditional Formatting. In order to do this, you need to follow similar steps like before. Click Home > Conditional Formatting > Top/Bottom Rules> Top 10 Items. Now set the n value on the window that appears. This will change the color of the top n values in a column. You can change the color of the bottom n values following the same process. In that case, you would need to select the bottom 10 items and follow the previous steps. To color the top 3 months with the highest sales, you need to select cells G3:G14, Home > Conditional Formatting > Top/Bottom Rules> Top 10 Items. Set the N value to 3 on the left and select the format to “Yellow Fill with Dark Yellow Text” and click OK. This will highlight the top 3 months with the highest sales, which are January, February, and December. You can also change the cell color of top/bottom values of cells when there are multiple categories. Excel comes with many “presets” that make it easy to create new rules. However, you can also add your own formula to create rules based on logic. Here we have the Norritos food truck sales data with the items in the rows. To find out the top 10 months for both Nachos and Burritos, you need to select the cells in B27:M28 and click Home > Conditional Formatting > New Rule. 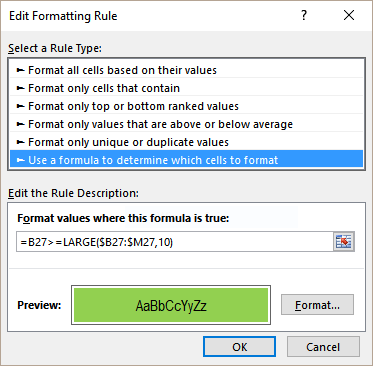 Select “Use a formula to determine which cells to format”and on the input window assign the formula,“=B27>=LARGE($B27:$M27,10)” click on Format, set the fill color of your choice. Click OK twice. You can change the cell colors of the bottom 5 cells for multiple categories in the same way. To find the bottom 5 values for beverage, you need to select the cells in D29:M30 that has the sales for beverage, Cola and Orange Juice. Now, click Home > Conditional Formatting > New Rule. Select “Use a formula to determine which cells to format” and on the input window assign the formula,“=B29>=SMALL($B29:$M29,5)” click on Format, set the fill color of your choice. Click OK twice. Most of the time, what you need isn’t as straightforward, depending on your situation, there might be other solutions to your problem. If you are in a rush and want your problem answered by an Excel expert, try our ExcelChat help service. 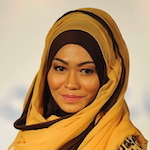 The experts are available to help you 24/7 at this link. The first question is free. Write a formula to break the movies into the following categories: "Top 10 Domestic and Overseas", "Top 10 Domestic only", "Top 10 Overseas only", or "not Top 10" in column L using columns J & K.
Hello. I have data in non contiguous cells. The cells are B14:G19,B31:D33,B46:E49,B63:F67,B78:C79,B92:E95 and they contain both positive and negative values. I want to sort the data in another separate column in which the top 10 values will be filled in descending order. In another column, I want the value of the cell in column A of which those 10 top values each, are a part of. Example, if they top 10 values in the range are in cells B8, C11, C12, E38 and so on in the descending order, then I want to fill a column in a manner where values of A8, A11, A12 and A38 will be automatically filled. How do I do these 2 tasks? I am uploading the file. The file contains power queries so the values change every 5 minutes depending on the change in the web source. The sheet name is 'Scenarios' and I need the top 10 values in the range B14:G19,B31:D33,B46:E49,B63:F67,B78:C79,B92:E95 to be displayed in column J and their corresponding column A values in column K. Thank you! How do I make cells change color if they have matching values and also, how do I make them change color based on the value of another cell? 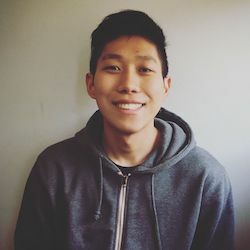 You asked for excel problem with me! In column A, lines 1-5 have the values 1, 6, 9, 7. In column B from row 1-5 there are values 2, 4, 6, 8. I want to condition if the value of each line in column A is greater than the line value in column B, the value of the cell will change color. For example A2> B2, cell A2 will change color, I do not know how to write VBA code so please guide formatting according to condition! Special thanks!